These terms will apply to any contract between you and us for the sale of products. Please read them carefully and make sure you understand them before ordering any products from our site. These terms and any contract between us will only be in English. Please print or save a copy of these terms for your records as these terms may change from time to time. My Dance Store is a trading style of International Dance Supplies Ltd (IDS) a company registered in England with registered number 05452207. Our trading address and registered office is at Harlequin House, Forde Court, Forde Road, Newton Abbot, Devon TQ12 4BT United Kingdom. IDS is a long-established supplier of dancewear and accessories to UK and International customers. We are the leading supplier to dance teachers and dance schools; and through this My Dance Store website (www.mydancestore.co.uk) we also supply the students of our dance teachers and schools directly. Please note, we operate three distinct websites mydancestore.co.uk is our retail website for dance students (and their parents or mentors). 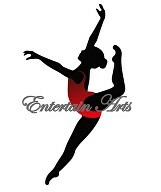 If you are a UK dance teacher or dance school please go to www.ids.co.uk or if you are US Dance teacher please go to www.idsdance.com to benefit from our bulk trade pricing. By placing an order with us you will be deemed to have read, understood and agreed to these Terms and Conditions. If you are unhappy with any aspect of these Terms and Conditions you should contact us by email before placing an order using the contact form or contact details below. When you shop with us we will ask you to provide a unique code which relates to your local dance teacher or school. This enables us to customise your shopping experience and ensure that we provide uniforms and other products which are specific to your dance teacher or school. During the registration process, you must provide your email address and set up a password which can be used for future ordering. If there are any changes to the details supplied by you it is your responsibility to inform us as soon as possible. All orders are subject to acceptance and product availability. Availability information for products is listed on each individual product’s description. If we do not have sufficient stock to deliver immediately you will be given the option of us emailing you when the item becomes available. Please take the time to read and check your order at each page of the order process. A confirmation email will be sent to the email address given in your order form and will detail products ordered, payment method, cost (including VAT where applicable and shipping). No contract for the sale of any product will exist between us until we accept your order sending you an email as confirmation. We will confirm the acceptance by sending you an email confirming despatch. If we are unable to supply you with a product, for example because that product is not in stock or no longer available or because of an error in the price on our site, we will inform you of this by email and we will not process your order. If you have already paid for the products, we will refund you the full amount as soon as possible. Every time you order products from us, the terms in force at that time will apply to the contract between you and us. These terms may be revised from time to time. VISA, MASTERCARD, VISA DEBIT or AMEX. We do not accept cheques; no credit accounts are available. Payment is fully charged at the time you process your order online. Shipping will be charged at the rate set out on the website which may vary from time to time. The total amount including shipping will appear in your shopping basket prior to you accepting your order. Please note that we do not refund the shipping element if you return goods to us which are not faulty. Deliveries will only be made to the cardholder’s address. No deliveries will be made to PO Box addresses. Deliveries may take up to 28 days or longer if held by customs. You must comply with all applicable laws and regulations of the country for which the goods are destined. We will not be liable or responsible if you break any such law. We do not offer an exchange service, if you require an alternative item you will need to place a new order through the website. However, we will be happy to exchange for the same item any product that is damaged, faulty or incorrectly shipped through any circumstance that is attributable to us provided the product is returned to us within 28 days from the date of despatch. We are pleased to offer a no quibble 28 day returns guarantee for any reason for a full refund. We do not offer an exchange service, if you require an alternative item you will need to place a new order through the website. Unless the products are faulty or not as described, you will be responsible for the cost of returning the products to us. Please note that garments which are not regular stock items, i.e. personalised print garments, will not be accepted back for credit. For reasons of hygiene we are unable to accept underwear back even if returned unworn. Tights may not be returned once opened unless they are faulty. CDs, DVDs are also non-returnable. Clearance and sale items are non-returnable unless faulty. Prices will be those at the time of despatch and are subject to change without notice. Every care is taken to ensure that the specification and description of our products are correct at the time of going to press. However, descriptions and specifications of products on this website are not intended to be binding and are only to give a general description of the products. Colour reproduction of the products is a close representation. However, we cannot accept any responsibility for any variation in colour caused by the browser software, monitor or computer system used by you. All our products are intended for children aged 3 years or above. When you place orders they are recorded on our secure server. The secure server software (SSL) encrypts all information you input before it is sent to us. Furthermore, as required by the UK Data Protection Acts of 1984 and 1998, we follow strict security procedures in the storage and disclosure of information which you have given us, to prevent unauthorised access. IDS will not sell or pass on your details to third parties unless required for the purpose of fulfilling your order. Our security procedures mean that we may occasionally request proof of identity before we are able to disclose sensitive information to you. We have taken every measure to prevent Internet fraud and ensure any data collected from you is stored as securely and safely as possible. However, we cannot be held liable in the extremely unlikely event of a breach in our secure computer servers. The Property and Title, both legal and equitable in any merchandise sold or agreed to be sold by us will not pass to you until all sums due to us have been paid in full. You agree to indemnify, defend and hold harmless My Dance Store, its partners, employees, consultants and affiliates, from any and all third party claims, liability, damages and costs, including but not limited to legal fees, arising from your use of this website or your breach of the Terms and Conditions. The maximum liability of IDS to you under contract tort or otherwise for any loss whether direct or indirect is limited to the price of the products purchased to the maximum extent permitted by law. Nothing in these terms affects your statutory rights as a consumer. We do not accept liability for any errors and/or omissions contained in our website and reserve the right to change information, prices, specifications and descriptions of listed goods, products and services at any time and without notice. IDS shall have no liability to you for any delay in the delivery of products ordered or any other matters to the extent that the delay is due to any event outside our reasonable control, including but not limited to acts of God, war, flood, fire, labour disputes, strikes, lock-outs, riots, civil commotion, malicious damage, explosion, governmental actions and any other similar events. To the fullest extent permissible under applicable law, we disclaim any and all warranties of any kind, whether express or implied, in relation to the products. This does not affect your statutory rights as a consumer, nor does it affect your contract cancellation rights. Nothing in these Terms and Conditions (whether or not under the heading of Liability) shall exclude or limit our liability for death or personal injury resulting from our negligence or that of our servants, agents or employees. The products sold on mydancestore.co.uk are provided for private, domestic and consumer use only. Accordingly, we do not accept liability for any indirect loss, consequential loss, loss of data, loss of income or profit, loss of damage to property and/or loss from claims of third parties arising out of the use of, or for any products or services purchased from mydancestore.co.uk. Access to our site is permitted on a temporary basis and we reserve the right to withdraw or amend the service we provide on our site without notice. We will not be liable if for any reason our site is unavailable at any time or for any period. All materials within the My Dance Store site including photography, images, site design, text, graphics, software compilations, underlying source code, software (including applets) are the intellectual property of International Dance Supplies Ltd or its licensor. All rights are reserved. The copying of such materials is strictly forbidden. You may however print complete pages of the site as hard copies for your own personal use. IDS, 1st Position, 1st Position Pro, the IDS diamond and My Dance Store are trademarks of IDS. Other product and company names referred to on this website may be registered or unregistered trademarks of their respective owners and are used under licence. The contents of this site are for general information only and not intended to provide advice. While we use reasonable measures to ensure that the contents of this site are accurate and up to date we do not accept any liability for any information which may not be accurate. We may rely upon third parties for much of the information provided. We reserve the right to change data, references and product specifications at any time. We make no warranty that the site will meet your requirements or will be uninterrupted, timely or error-free, that defects will be corrected, or that the site or the server that makes it available are free of viruses or bugs or represents the full functionality, accuracy, reliability of mydancestore.co.uk. We will not be responsible or liable to you for any loss of content or material uploaded or transmitted through mydancestore.co.uk. For the purpose of the Data Protection Act 1998 (the Act), the data controller is IDS of Harlequin House, Forde Court, Newton Abbot, Devon, TQ12 4BT, UK. IDS are registered with the Information Commissioner’s Office with registration number Z2855723. Information that you provide by filling in forms on our site at mydancestore.co.uk (our site), including your name, postal address, e-mail address, telephone number and other specified information, information provided at the time of registering for shopping online, subscribing to our service, entering a competition or promotion, [posting material or requesting further services] and when you report a problem to us with our site. Process your registration and process any orders you may make. The relevant information is then used by us and sub-contractors to communicate with you on any matter relating to the conduct of your order or account in general. To ensure that the content from our site is presented in the most effective manner for you and for your computer. If IDS or substantially all of its assets are acquired by a third party, in which case personal data held by it about its customers will be one of the transferred assets. If we are under a duty to disclose or share your personal data in order to comply with any legal obligation, or in order to enforce or apply our terms; or to protect the rights, property, or safety of IDS, our customers, or others. If you have agreed that we can contact you for marketing purposes we may send you emails and other communications relating to products and services which we think will be of interest and relevance to you as an individual. We do this by monitoring the browsing and online shopping habits of customers and providing them with information on products they have viewed and related products. We may also wish to provide you with information about special features of our site or any other service or products we think may be of interest to you. If you would rather not receive this information, please send an email message to help@mydancestore.co.uk with the subject "unsubscribe web mailing". A cookie to interact with our website, to include but not limited to storing login information, visitor details and shopping basket details. A cookie for Google Analytics which identifies where a visitor came from (search engine, search keyword, link). A cookie for Google Analytics which identifies user-custom variables. The data that we collect from you may be stored and only processed within the European Economic Area. We use encryption to safeguard your credit card information and only accept orders from web browsers that permit communication through Secure Socket Layer (SSL) technology - this means you cannot inadvertently place an order through an unsecured connection. This encryption makes it virtually impossible for unauthorised parties to read any information that you send us. The encryption technique we use is the highest standard available for e-commerce and certified by GlobalSign - Europe's longest serving and most trusted Certificate Authority in Europe. We also keep your information confidential. The internal procedures of International Dance Supplies Ltd cover the storage, access and disclosure of your information. The Act gives you the right to access information held about you. Your right of access can be exercised in accordance with the Act. Any access request may be subject to a fee of £10 (UK)/$17 (USA) to meet our costs in providing you with details of the information we hold about you. If you would like to contact us regarding this policy, or if any of the information that you have provided to IDS changes, for example if you change your email address, name or payment details or if you wish to cancel your online registration, please let us know the correct details by sending an email to help@mydancestore.co.uk or at the address set out above. From time to time we may send marketing emails, please refer to the email for details. These conditions shall be governed by and construed in accordance with the law of England and Wales and by using this website you irrevocably submit to the exclusive jurisdiction of the courts of England and Wales.